Four handmade copper rings hand from a custom copper bail. Each link is handmade, soldered and torch patinated, then textured. The bail is from the same links. 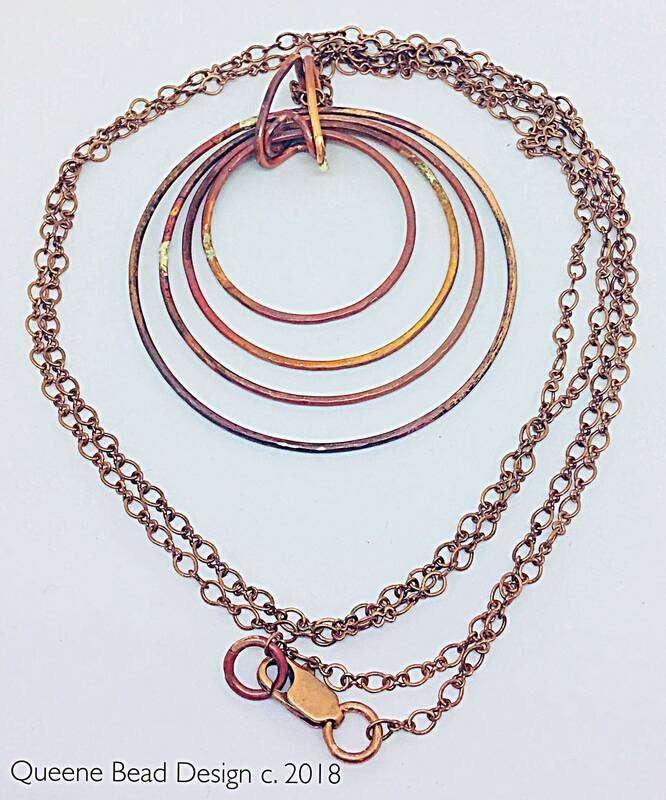 This pendant is strung on antiqued copper chain and is 36” long. And finished with an antique copper lobster claw clasp. 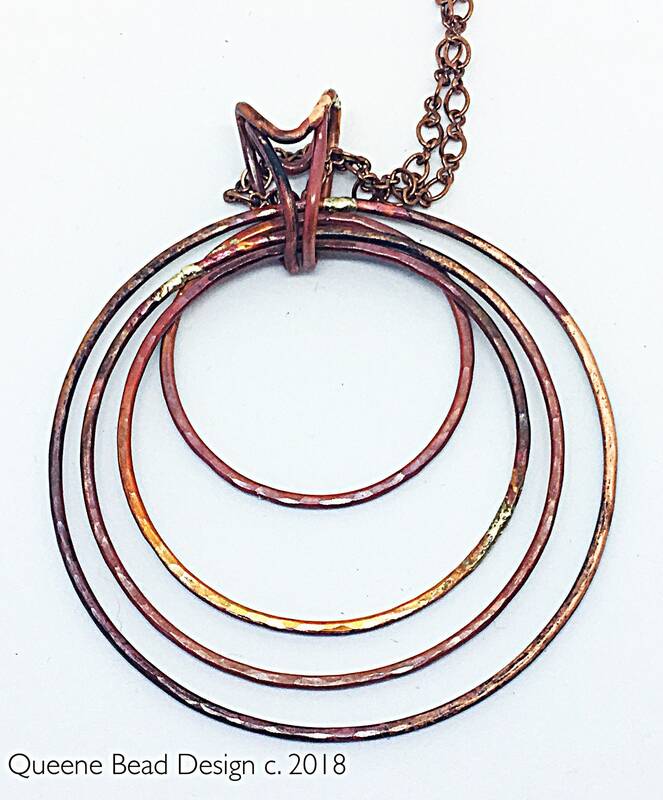 The biggest link/circle/hoop/ring (whatever name works best) measures 1.75”. 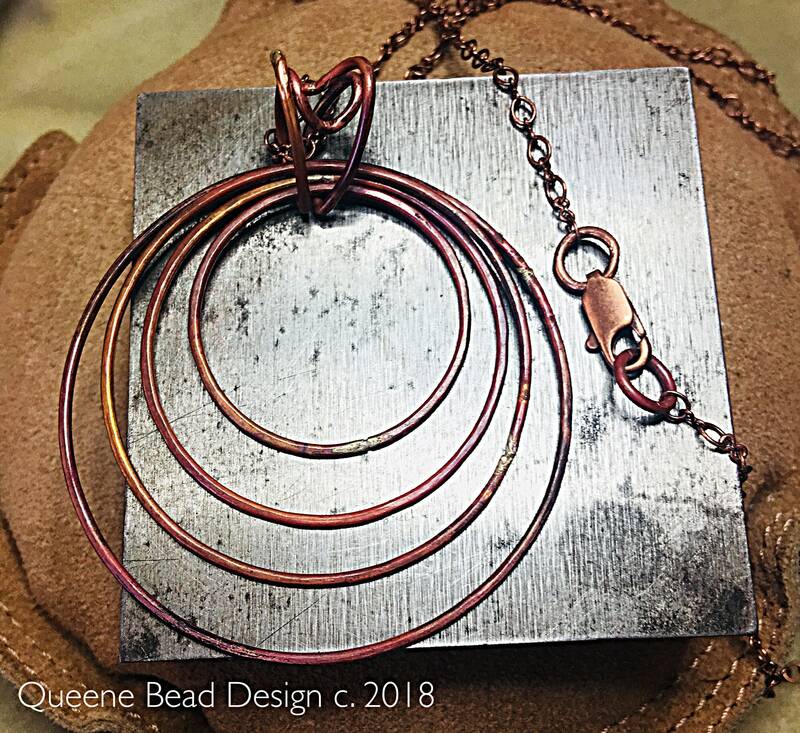 Made from 16 gauge raw copper wire. Deliberately left a bit rough, with exposed solder joints. 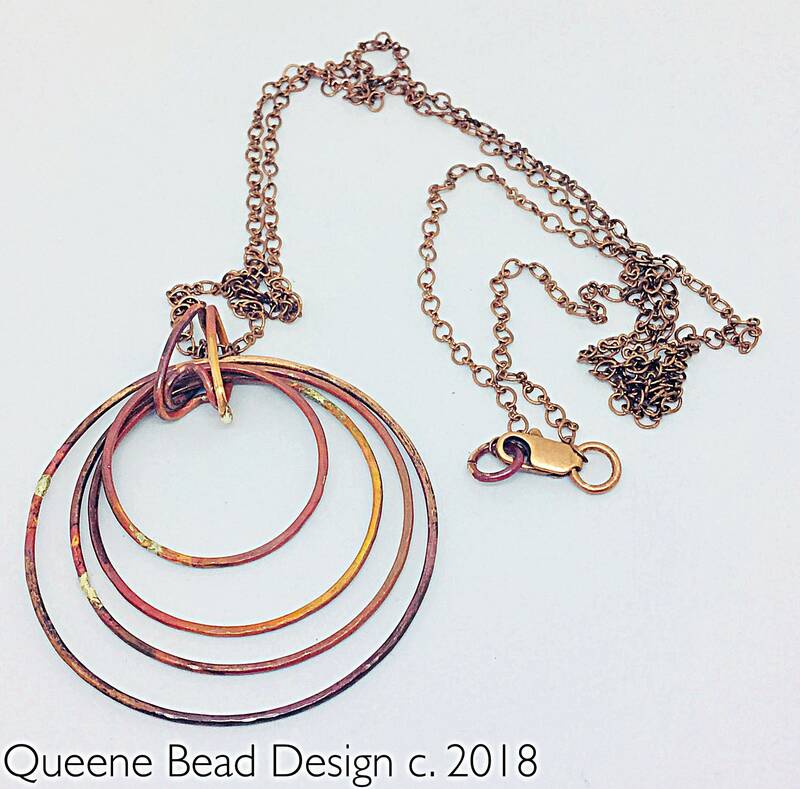 I can easily make this necklace to any length. Convo me for details.